With all the good technology brings us, there’s always downsides. No, we’re not talking about being over-distracted or supposed “smartphone addiction,” instead, it’s an opportunity for nefarious actors. Enter the latest release of the Android developer program. This isn’t about coding. But it is about consumer safety. 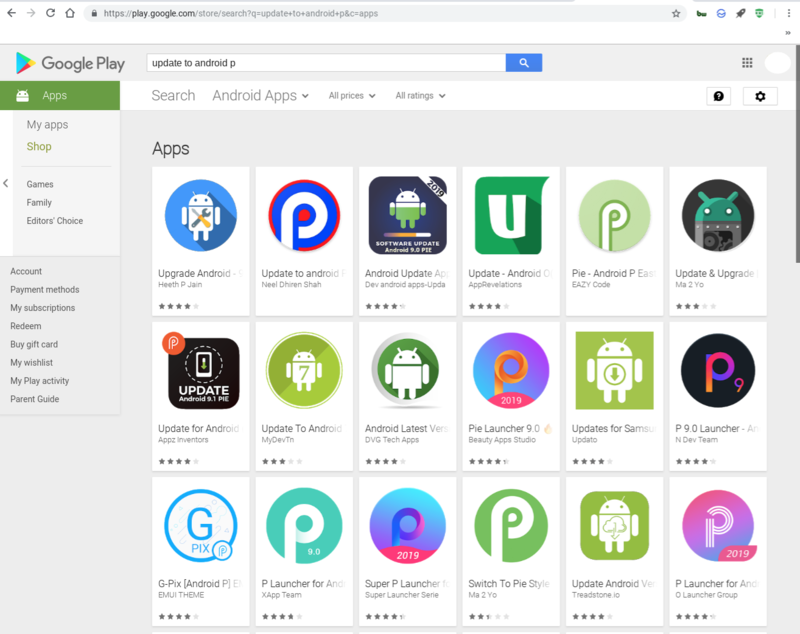 Just a quick search of “update to android p” in the Google Play Store reveals numerous apps which promise to update devices to the latest version of Android. Of course, these don’t work. Rather, these apps can contain adware and malware. The apps are registered as “Unreleased”, earning “Early Access” badges. In other words, naive users might easily mistake these for legitimate. Furthermore, with such categorization, there’s no user ratings and reviews. Meaning, nothing to overtly alert gullible users there’s something seriously awry. Obviously, it’s not worth the risk to install such apps. Android updates come as Google (and carriers) send them out. There simply aren’t any apps which can magically skip over the process and upgrade device software to the latest version of Android.